Thank you for submitting a review. We appreciate you taking the time to speak further with us regarding your flooring concerns. As it was discussed, you will be scheduled for an assessment to be performed to your floors and a resolution will be provided after the assessment. 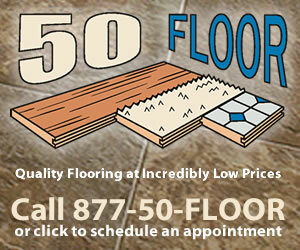 We truly thank you choosing 50 Floor for your flooring needs. I always try yo see the positive in everything. However, this is a situation that eirjs on my nerves every morning fir the kast 6 months.The workers had to return ti ckean up their shabby job. The floor is hard to clean even with the recommended cleansers. I wish I'd used my pit bull to test for scratches before hand. Review #1084461 is a subjective opinion of User1084461.